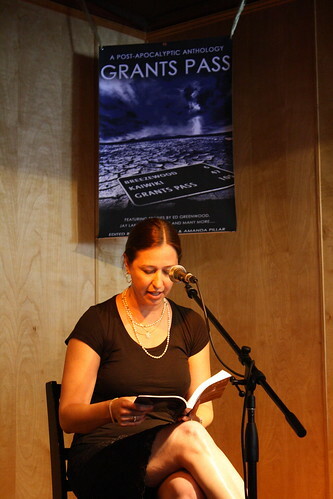 reads her story “By the Sea” at the Grants Pass book release party. And a video clip of her. She did a fabulous job. And this was her first reading and signing, ever. Mad props to the woman.